AC75016…2008 Dodge Ram 1500 SPORT 4X4: Safe and reliable in all road conditions, great towing capacity, performing… Is that what you are looking for in a vehicle? This awesome truck has all these benefits and more! It is in amazing condition and works great. This vehicle comes with a full CarFax report. 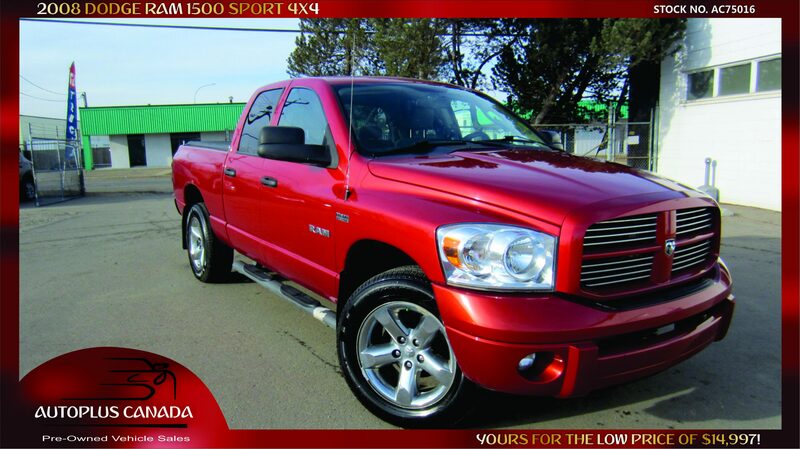 Boats, RVs, Jet Skis… This truck can keep up with all the summer fun!